Wheel thrown two piece stoneware garlic baker. 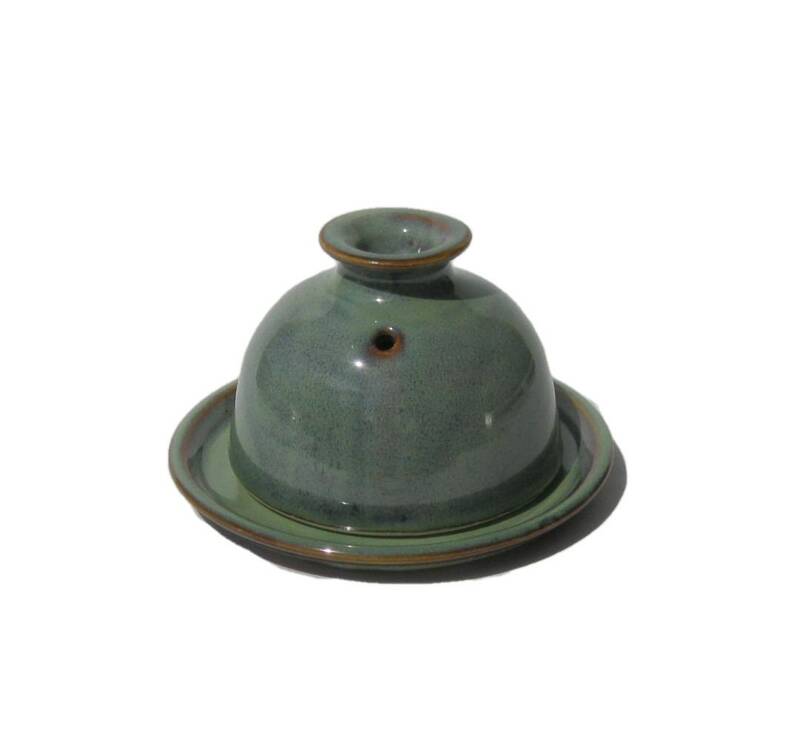 The base is 6 inches in diameter and it is 4 inches tall. The inside baking section is 1 inch deep and 3 1/2 inches in diameter. Artist signed on the bottom. Glazed in my Ponderosa glaze scheme.